If you’re practically spending a lot of time and effort in alkalizing your body, then at some point, this question must have popped into your mind: is there such a thing as too much alkaline in the body? 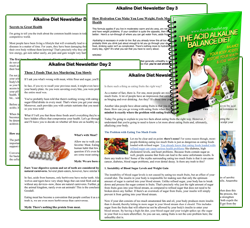 In theory, having too much alkaline in the body must be as harmful as too much acid. If that’s the case, then there’s really no point in alkalizing your body. As a matter of fact, you might just as well live your life without paying attention to your alkaline level. After all, your body is naturally in a state of pH balance, right? Wrong. If you want to have a completely balanced and healthy body, you will have to continue alkalizing your body. Too much alkaline in your body may be just as dangerous as too much acid, but let me explain to you why it’s nothing to worry about. Everything around you is practically charged with acidity. Modern food selections—from corn chips and junk food to processed meat—are packed with acidic substances. Alkalizing food substances are much fewer in proportion to acidic foods. Aside from the overwhelming presence of acidic foods, stress and sickness both result in an imbalance of the body and, ultimately, pH imbalance. Your body rapidly shifts in an acidic state whenever you are either stressed or sick, causing slow absorption of food nutrients and vulnerability to even more diseases! Having even more diseases then leads to more acid in the body—creating an endless cycle of too much acid in your body. 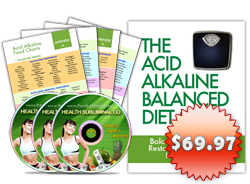 In comparison to too much alkaline, acidity in the body is so much easier to acquire. Your body and your environment practically conspire to create an imbalance in favor of acidity. The chances of having too much alkaline in your body may be slim, but that don’t mean you should ignore the issue altogether. As you go about alkalizing your body, you may end up doing too much and putting yourself in danger. With that said, when exactly does too much alkaline in the body occur? Professionals often have a term for the condition—alkaline shock. It happens when your body is suddenly charged with food substances that contain too much alkaline without taking in any acidic substances. This happens during treatment of certain diseases and certain unexpected situations. For example, a diet that chiefly consists of raw vegetables, alkalizing fruits and ionized water will cause a shift of the body’s pH balance upward into an overly alkalized state. The primary sign of too much alkaline is dehydration. This may sound impossible, since raw vegetables and ionized water are hydrating substances in themselves. Compared to distilled water, which is acidic, alkalized substances are not as hydrating. Another effect is weakness; your body’s immune system is temporarily destabilized, which may leave your body vulnerable to some bad bacteria. Also, the body will have difficulty carrying much needed oxygen to the different parts of your body through blood. Sounds scary enough? Don’t be. Keep in mind that too much of everything—even healthy practices—is bad for the health. The only way it can happen to you by choice is if you suddenly took a radical shift in your diet and ate alkalizing substances alone—from your food down to your water. a. Alkalize your body through natural methods. Eating raw vegetables and juicing fruits are some popular examples. As much as you can, keep unnatural methods to a minimum and only use them when you’re in a helplessly acidic state. b. Exercise! Not only does it keep your weight in check, it also makes sure that your nutrients are absorbed well and that your body stays balanced. c. Put variety in your diet. Don’t just stick to a stable choice of foods. There are many alkalizing foods out there not limited to what you’re eating. Discover them and include them in your diet. AND I CAN FEEL THE CHANGE. 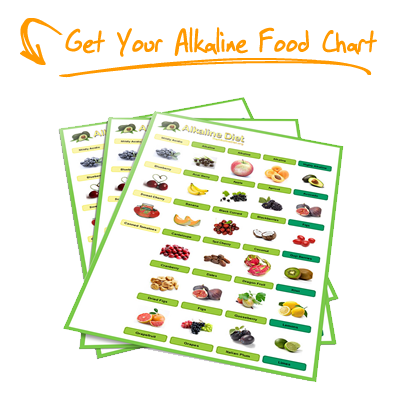 THE ALKALINE DIET WEBSITE IS GREAT KEEP THE GOOD INFORMATION COMING IN. I use high ph water to make my coffee. I drink at 2 large cups a day. I have been feeling tingling in my hands and feet. could this be from the high ph water? Hi Judy, the tingling of your hands and feet should be caused by the caffeine in the coffee rather than the water. You can test out with normal water for a few days just to be sure. Try reducing the dose of your coffee to one cup or less and the tingling effect will be reduced. I had blood work done and the results came back stating I was borderline high for alkaline. I was confused with this since I was not doing anything to be “alkalized” Is there a problem with your body just raising the alkaline on its own? Is this something I should keep an eye on? STILL DIDN’T SYMPTOMS OF ALKALINE SHOCK. WOULD HAVE BEEN VERY HELPFUL TO MANY. MISS THE POINT.